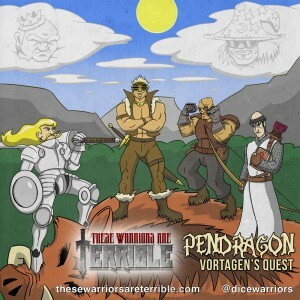 Campaign Description: Big Mike returns from his hiatus rested and refreshed to lead the Terrible Warriors into the world of the Pendragon RPG, Mike “Birdman” Dodd and Tom "heisanevilgenius" White, are joined by Toronto’s greatest villain Dr. Holocaust Conal MacBeth and Derek “The Bard” Burrow of Chasing the Muse. The group takes on the role of squires on their way to Castle Vortagen to be knighted when they see the Knights of the Round Table also heading to the castle. That night they interrupt a mugging that leads them to a much larger adventure. 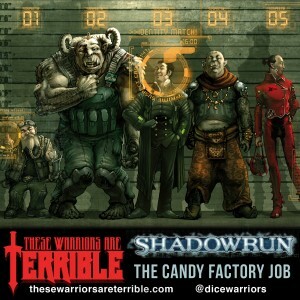 Campaign Description: These Warriors are Terrible take on The Star Wars RPG 2nd Edition Revised and Expanded from West End Games. Watch as Mike “Birdman” Dodd, Steve Saylor, Justin Ecock, with new players Julian Spillane and Erika Szabo take on the Empire in the fall of the first Death Star this group of rebels travel to take on an Imperial weapons depo. In doing so they find a secret Empire Project called "Leviathan" that could turn back the balance of power in the galaxy! Oh…and sing. There’s a lot of singing. Campaign Description: In a brand new campaign setting Steve and Birdman take the role of Judges from the 2000 AD hit series Judge Dredd. They are joined this time by Tom "Heisanevilgenius" White taking on the role of a Psi-Judge as the three lawmen of the future keep Mega City One safe. As a new disease runs wild through the city, even laying down the majority of the street judges the trio investigates a strange incident of a man firing wildly into the air they are drawn into a deeper plot that threatens the entire city.